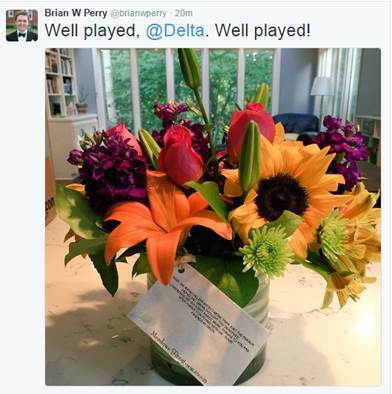 Delta teams have been working around the world – and around the clock – to take care of customers affected by a loss of power Monday morning that disrupted operations systemwide. A little creativity, thoughtfulness and flexibility have been going a long way as agents do everything they can to assist while the airline works to return its operation to normal reliability. 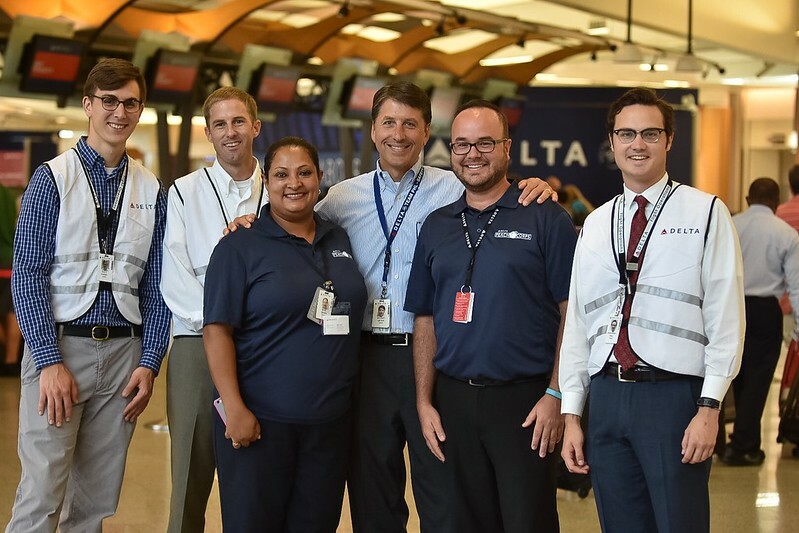 At Hartsfield-Jackson Atlanta International Airport, the airline activated its Peach Corps, a team of Delta volunteers from the airline’s corporate headquarters who regularly support the Airport Customer Service team during peak travel days and adverse weather events. So far, more than 200 employees have provided more than 600 volunteer hours at the airport, helping with everything from guiding customers through the check-in process to way-finding in the concourses. They also delivered more than 4,000 Krispy Kreme donuts to customers in the concourses and to employee breakrooms. The airline also responded to some customers who posted on social media, sending them flowers or Starbucks gift cards in many cases. And when American track and field athlete Kristi Castlin, en route to Rio from Los Angeles to compete in the 2016 Olympic Games, tweeted that she’d encountered a “long day of delays,” Delta was able to upgrade her to a seat in Delta One upon connecting in Atlanta. The Delta team at Rio de Janeiro International Airport met her with chocolates on arrival and ensured she was personally escorted to baggage claim and customs. The airline provided hotel vouchers to several thousand customers across the system, but still more customers remained inside airport terminals around the system, where Delta people assisted with snacks, beverages, and blankets. At New York’s LaGuardia Airport, food courts stayed open late to accommodate travelers. And in Los Angeles, dozens of L.A.-based employees from Sales, Marketing and other divisions reported to Los Angeles International Airport on Tuesday to assist their colleagues in Airport Customer Service by organizing bags, answering customer questions and helping with way-finding.